May 25 - After a long period of inactivity, the Association of National Olympic Committees of Africa (ANOCA) have revived their Athletes' Commission, which now hopes to meet twice a year with a fresh cast of members to focus on athletes education, welfare and overall development. The new-look Commission, which has seven members as opposed to the previous ten, includes former Senegalese athlete Amadou Dia Ba and Zimbabwe's two-time Olympic swimming champion Kirsty Coventry, who both featured on the original Commission. Also on the commission are Morocco's two-time Olympic champion middle-distance runner Hicham El Guerrouj, Mauritanian sprinter Stéphan Buckland, three-time world half-marathon champion Tegla Loruope of Kenya, Malian women's basketball player Kadiatou Kanoute and Togo's bronze medal-winning slalom canoer Benjamin Boukpeti. 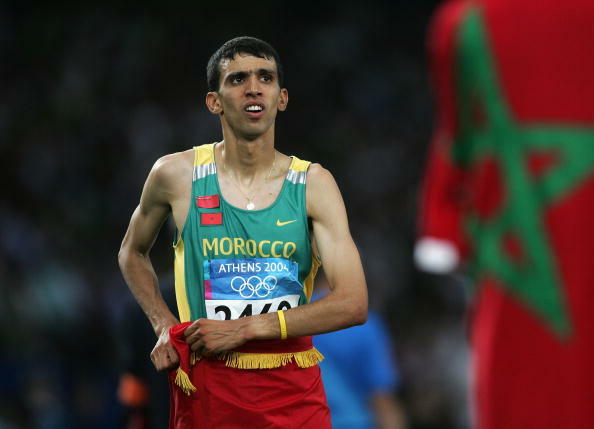 El Guerrouj is a former member of the International Olympic Committee (IOC) Athletes' Commission while Coventry is set to join it in June. "African athletes don't care much about Athletes' Commission because they have not felt their impact, but it is necessary." said Amadou, who won 400 metres hurdles silver at Seoul 1988. "So we have decided to pick new members who will work in seven zones that will be headed by athletes from these regions,"
The Commission hopes to meet twice a year and are aiming to see their input acknowledged at major events, starting with the 2015 All Africa Games in Congo.